TAMPA BAY, Fla. – The Tampa Bay Lightning announced their 82-game regular season schedule for the 2018-19 season, presented by Florida Hospital, on Thursday. The Lightning’s season opener will take place on Saturday, October 6 as the Bolts host the Florida Panthers at AMALIE Arena. Tampa Bay will open the season with five consecutive games at home before hitting the road for five contests against opponents from the Western Conference. The Lightning will play each of their Atlantic Division opponents four times, two at home and two on the road. They will play each of the teams from the Metropolitan Division on three occasions. They will play the Carolina Hurricanes, Columbus Blue Jackets, New Jersey Devils and the Stanley Cup Champion Washington Capitals two times at AMALIE Arena and once on the road. Tampa Bay will visit the New York Rangers, New York Islanders, Philadelphia Flyers and Pittsburgh Penguins twice while those teams will make just one appearance at AMALIE Arena. The Lightning will play each Western Conference team twice, once at home and another on the road. The league will take a break for the 2019 NHL All-Star Game on January 25 and 26. This year’s event will take place at the SAP Center in San Jose, California, home of the San Jose Sharks. Single game tickets will go on sale at a later date. The Lightning will open the season with five consecutive games at AMALIE Arena. Tampa Bay will play nine home games during the month of November, more than any other. They’ll also play eight during February and March. The longest home stand of the campaign will be five games, which will occur on two occasions, October 6-18 to open the season and again November 21-29. They will only play four games at AMALIE in January, and none in April, when they only have four games total. The Bolts’ first road trip of the season will be a season-long five games and run from October 20-27. The trip will feature all Western Conference teams, including the defending conference champions, the Vegas Golden Knights. The Lightning will have three road trips of four games, five of three games, four of two games and one single game trip to Sunrise, Florida to take on the Florida Panthers. Tampa Bay will play eight games away from AMALIE Arena in December, more than any other month. The Lightning will also return to the Nassau Veterans Memorial Coliseum on Long Island for a February 1 match-up against the Islanders. The Lightning will play in 11 sets of back-to-back games during the 2018-19 season. All but one of those will be with both games on the road. The only exception will come on February 9 when Tampa Bay hosts Pittsburgh at AMALIE Arena before traveling to play the Panthers on February 10. 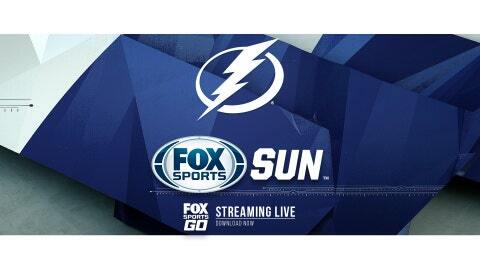 — The Lightning’s earliest home start time is 4 p.m.